I will be leading a number of workshops in the next few months. I do hope you will join me for some or even all of them! To sign up for any of these workshops, please contact the groups I will be working with. Feel free to contact me if you have any questions. 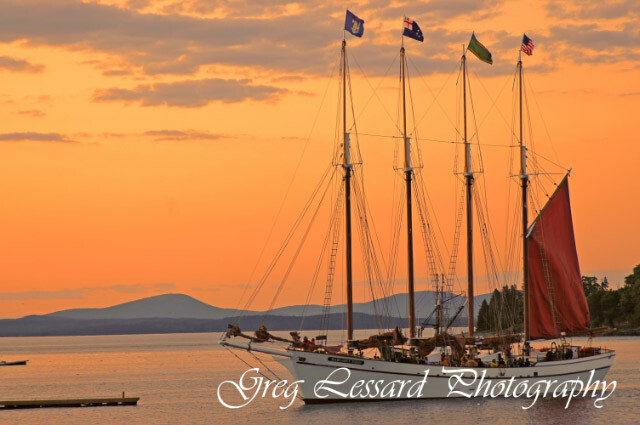 The image accompanying this post is of the Margaret Todd, a four masted schooner that frequents Frenchman's Bay in Acadia National Park. I will be leading a 3 day workshop in Acadia National Park this fall. You can find more info on this trip and other workshops below. Photography: Sunset at Scituate Light Greg Lessard Thursday July 17th 7:00-9:00pm at Scituate Light $35.00 This is a sunset photography field class. 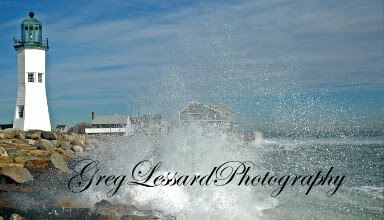 Photography: Scituate Harbor Walk Greg Lessard Thursday July 24th 6:00-8:00AM $35.00 We will meet at the Morrill Band Stand & walk approximately 1 mile while photographing the beauty of Scituate Harbor. August 5th Driftwood, Feathers and Seashells at Duxbury Beach 9:30-11AM Free - Please call to reserve a spot. August 9th Powder Point Bridge 6:45 – 8:30PM $10 members/$12 non-members Please call to reserve a spot. October 2 6-8PM Fall Photography Techniques Mass Audubon North River Sanctuary 2000 Main St., Marshfield, Ma $16member/$20 non-members Please call to reserve a spot. October 9 4:30-6:30PM Fall Photography Field Session Bay Farm Duxbury - From Route 3 South: Take Exit 10 and bear right onto 3A North. Turn right onto Parks St. Bear left at the fork onto Loring Street. Continue onto Loring St. past Bay Road. Parking will be less than half a mile on the left. $16 member/ $20 non members Please call to reserve a spot. October 30 6-7PM Fall Photography Presentation and wrap-up. The top images of every participant will be presented in a slide show with a peer conversation of what makes the images work well. Greg will also answer any remaining questions about Fall photography. North River Sanctuary, 2000 Main St, Marshfield, Ma Please call to reserve a spot. Free to anyone who signs up for one of the previous four sessions. Acadia National Park Fall Photography Trip Have you ever caught the sunset at Bass Harbor Head Lighthouse, or the sunrise at Otter Cliffs? How about the fall foliage on the Bubbles? Or first light from the top of Cadillac Mountain? Have you ever had the popovers at the Jordan Pond House? All of these opportunities and more are available on our first ever fall digital nature photography trip to Acadia National Park on Maine’s Mount Desert Island. Our director of education, John Galluzzo, will be joined by professional nature photographer Greg Lessard for this three-day digital photography adventure (Friday, October 17-Sunday, October 19). A $75 non-refundable, non-transferable deposit is required at the time of registration. No cancellation refunds will be issued 6 weeks prior to the program unless we can fill your space. Single supplement $90. Full fee covers all transportation, lodging and park entry fees. Payment in full is required by September 17, 2014. Contact John Galluzzo at jgalluzzo@ssymca.org for an itinerary.